For many commercial real estate investors, the ever evolving Denver market may appear to be in its prime for office properties. Topping the Forbes list of best places for businesses and careers for the second year in a row and still experiencing a surging tech boom, an investment in office properties seems likely to pay off. However, there may be cause for reconsideration. While the business climate in Denver remains strong, the market for commercial office properties does not. • New properties threaten investments. 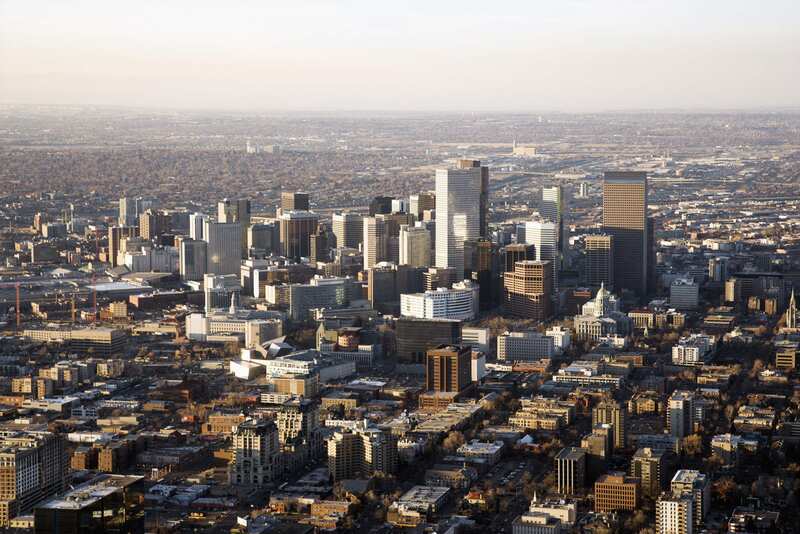 The current supply for office properties in downtown Denver is rapidly outpacing the demand. In the first three quarters of 2016, we saw absorption of 61,486 square feet of new office space in the downtown area. Parallel to that, there’s currently more than 2.1 million sf of office space under construction, with 365,000 sf set to be delivered the fourth quarter. That means in the fourth quarter alone, almost six times the amount of office space absorbed all year will be delivered to market. 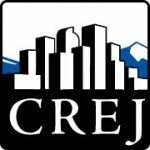 Even with numerous companies relocating headquarters to Denver, the forecast for returns for commercial office investors and developers does not look strong. Furthermore, the majority of new office construction in the downtown Denver area is Class A, oversaturating that asset class and market. • Sublease availability soars. In addition to all of the new office construction coming on line, the amount of sublease office space available on the market cannot be ignored. Denver has long been a haven for oil and gas companies and, with the decline of this industry, it is unsurprising to see that a majority of the office sublease space available is from that sector. What is surprising, though, is just how much sublease space is out there. Sublease availability remains above 1.3 million sf in Denver, with the energy sector accounting for over 900,000 sf of it. While it is good news that many tech companies are moving to the Denver area, it is unfortunate that the space build out for a tech company differs greatly from that of an oil and gas company. Tech companies tend to favor large, open work spaces for their employees, while the oil and gas industry is known for a more traditional office setup with individual offices. While many subleases are offered at a discount of normal lease rates, the tenant improvements required to convert an oil and gas office into a tech office often offset any discount in rent. Between the 2.1 million sf of office space under construction and the 1.3 million sf of sublease availability, it’s hard not to see that the office market in downtown Denver is entirely oversaturated. This is good news for relocating companies who are hoping to get affordable lease rates, but for the Denver commercial investor – not so much. • What about co-working spaces? In the midst of the growing office market in Denver, co-working spaces have established themselves as the latest trend in office space. Despite their recent popularity, an investment in co-working spaces is still fairly risky. Co-working spaces are a relatively new concept, making the long-term profitability of this asset class still unpredictable. As a real estate investor, vacancy is your biggest cost and co-working spaces are built around a shortlease tenant situation, which leaves a lot of vulnerability for vacancy. Additionally, co-working spaces serve a niche population right now. That’s not to say the market looking for co-working space might not grow and turn it into a stable asset class but, for now, it’s too early to tell exactly what the demand will look like for the spaces in a few years. Lastly, many new co-working spaces continue to try to “out cool” each other, sometimes resulting in making the space feel more like a frat house and less like an office. While these features might help garner initial interest, they usually do not help investors get a higher return on investment. • Growing business market, declining office value. Colorado is deemed one of the best states for new entrepreneurs. Many might argue that absorption of vacant square footage will increase due to businesses relocating to or opening offices in the Denver area. In the Denver market, third-quarter unemployment numbers were strong, sitting at 3.6 percent. While this is great news for residents and the economy, it’s not necessarily good news for commercial real estate. With fewer people looking for work, there are likely to be fewer businesses relocating to the area. Combine this, along with the glut of new construction and sublease availability, and you can see why asking lease rates are on the decline, resulting in low profitability of commercial development for office spaces in Denver. • Not office space, not now. With the business market and job market both strong, Denver certainly will continue to grow. While this paints a rosy picture for the future of office space, the reality is that the amount of product on the market already is outpacing the demand, without even including the office product under construction. You don’t need to rely on reports and statistics to see this; it’s right in front of your eyes in many of these gorgeous new office buildings without lights on and no tenants in place. Next time you’re driving through downtown, take a look around at these empty office buildings, factor in the new inventory coming to market and decide for yourself if investing in downtown Denver office space is a good idea right now. Featured in CREJ’s December Office Properties Quarterly.